No one likes the IRS, and they are under the gun right now. But why? Is it really any different than it has been historically, or could we just be paying more attention in this digital media age? Let's break down the "scandals". 1. Alleged audit targeting of "tea party" affiliated groups. Allegedly the IRS delayed/denied/targeted at a higher rate tea party affiliated groups who applied for tax exempt 501(c)4 status. This means, in a nutshell, that conservative pseudo lobbying groups had a tougher time getting their agendas across than liberal ones did, because they were stuck in a tax audit limbo that prevented them spending their money in the way other 501(c)4 groups could. (A)Civic leagues or organizations not organized for profit but operated exclusively for the promotion of social welfare, or local associations of employees, the membership of which is limited to the employees of a designated person or persons in a particular municipality, and the net earnings of which are devoted exclusively to charitable, educational, or recreational purposes. (B)Subparagraph (A) shall not apply to an entity unless no part of the net earnings of such entity inures to the benefit of any private shareholder or individual. Translate this to: volunteer firefighters and civic organizations. The trick is that they CAN contribute to political lobbying/activism/campaigns, as long as this is not their "primary" purpose. The real trick is that donors to these groups do not have to be reported to the IRS like political parties and Political Action Committees (or PACs or SUPER PACs). These groups outspend the PACs by a 3 to 2 margin, allegedly. This targeting is obviously not ok, on any level, by a neutral government entity. It doesn't matter if it is the tea party or the toga party, this just stinks, as it seems "the Man" is targeting opposition groups, ala every dictatorship/oppressive regime we read about elsewhere in the world (see, Syria). However, I just cannot believe this has not happened before, it was just exposed this time. If you have ever been audited, you might know how one works. If you have not, know that they are a pain. I don't think this was just a couple of "rogue agents," that is just not how the IRS works. Usually, the IRS targets a group or groups because they want to encourage litigation, with the ultimate result of getting court cases that mean more tax revenues for them. A few years ago, it was Family Limited Partnerships, as they were getting big deductions and the IRS didn't like it. It is cyclical, and its just the way it is. You just hope the taxpayer wins in court. The real quagmire is that both conservative and liberal groups use the 501(c)4 gimmick to influence elections. Requiring disclosures of the donations like they do for political parties and PAC's might fix it, or just scrap the political influence ability of the nonprofits all together. It is just not that hard:clean up the ability of the big money power brokers to buy elections. Campaign finance reform seems to crawl along at a snail's pace, so don't hold your breath on this one. Instead of ceremonially firing a top official who was about to retire anyway, hopefully the IRS will fix this at the source. 2. IRS Spends $50 million on 220 employee conferences over 3 years. This one looks pretty bad, in the times of people hurting and growing distrust of where our tax money goes, and rocketing national debt. But was it? Reports have come out detailing these events, including a video of employees line dancing, lavish hotel rooms, and other perks. The IRS admitted to it and says it fixed the problem. C'mon man. Who cares? I get it, "It is our tax dollars!" The math is not that bad though. This expenditure from an IRS budget that runs about $12 billion a year comes out to, wait for it, 0.139%. The same story claims they have already slashed this, and cut back on expenses. The real problem comes with our perception of the IRS. Nobody likes paying taxes, but we all like roads, hospitals, schools, etc. Some of us cheat on our taxes, others do not, and we all suffer for those who do not pay their fair share. This means tax rates go up, because we must factor in the cost of those who just will not pay. The IRS reports this "tax gap", what should be collected from what actually is, at $385 million as of 2006, while others report it could be as high as $600 billion. Makes $12 billion look like a pretty small number to throw at that big of a problem, and $50 million to make these tax collectors happy and motivated a small drop in the bucket. Companies have conventions. They have motivational speakers. They have conga lines. They go into the woods and do trust falls. Next, we have to come to terms that the IRS is a company, with people working there. I don't like a lot of the IRS folks I have dealt with, but my disdain is probably rooted in the same emotions that caused me not to like my childhood dentist (you know who you are). 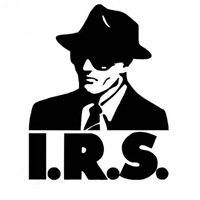 On the flip side, I have had some great experiences with IRS agents, and I have friends and colleagues who work there. My point is, like google, apple, or any company, to attract and retain talent, not to mention keep workers happy, you need a little line dancing once in a while. If baseball tickets equal higher tax compliance, I'll share the collective bill. Presidential suites are pushing it, so IRS don't get carried away. Would anyone care if this was a report on Goldman Sachs or Amazon? Didn't think so. To have the society as we know it, we have to collect taxes. There are good ways to do this, and bad, depending on who you ask. Yes, the IRS has some straightening up to do. Should we cut them so slack? Noway. However, we can also think about the task they have, how important it is for all of us, and remember there are people behind the mask too.